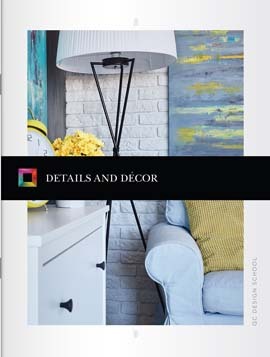 Unit B of QC Design School’s Color Consultant Course will teach you how to bring a color palette to life using elements such as furniture, appliances, flooring and interior painting. Discover how to choose the right paint finishes, as well as ceiling, trim and wallpaper colors. Learn Jane Lockhart’s secrets for designing with textiles, arranging accessories, and building a strong relationship between art and design in your client’s home. 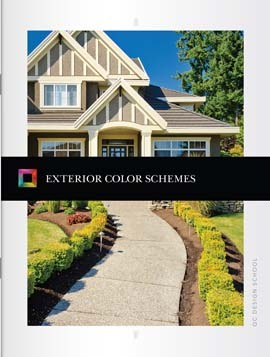 Enhance curb appeal and entice buyers by designing exterior color schemes. Become familiar with the importance of exteriors in home staging. From textiles to curtain rods, the importance of décor in custom interiors cannot be overlooked. Study photo examples of different textiles, and learn how to mix patterns and prints in order to bring rhythm and movement to rooms in the home. Become familiar with finishing touches such as faucets, curtain rods, and light switches. 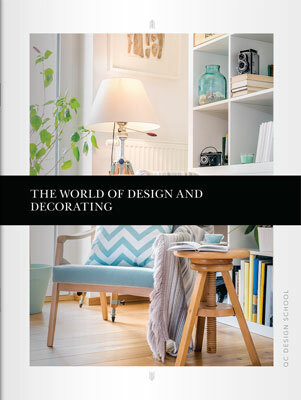 Learn how to choose and arrange accessories in order to enhance home design plans, and discover the important relationship between art and design and how to feature artwork in your client’s home. A home’s exterior color scheme creates a significant impact. Get to know the permanent features of a home, including bricks and tiles, and how to identify colors for each. Delve into character and landscape, and learn how to take the rest of the neighborhood, as well as the house’s character, into consideration when designing a color scheme. Find out how to connect a home with its garden, as well as how to use the three-color method in order to properly distribute color on a home’s exterior. Learn how to choose the right paint color and finish, and study four different categories that can be applied to the various aspects of a home’s exterior.